Knitting with Friends Big Knitting Needles are Now Available! Knitting with Friends Big Knitting Needles for bigger stitches are now available in-store and on-line! 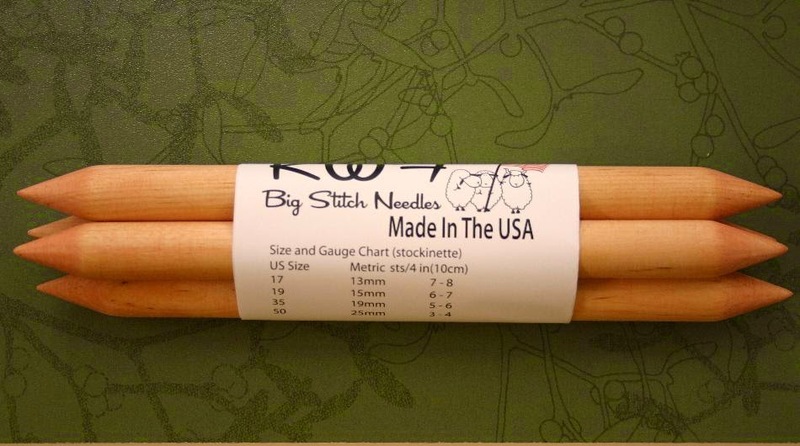 Created for the serious big stitch knitter, all needles are hand-made in the United States using Birch and other quality hardwoods. These needles have been created and hand-made by a knitter - these needles have sharp points, are lightweight to handle, and have a big knob to keep your big stitches from falling off the end! In addition, each needle has been hand polished to provide a beautiful smooth surface for your stitches. Knitting with Friends Big Knitting Needles are available in sizes US 17 to US 50 (13 - 25 mm) in many lengths! Double pointed needles are also available and are a generous 10 inches (250 mm) long and come in sets of four for fast in-the-round projects. All needles have a traditional polished finish that will not shrink, crack or peel, and can be cared for with any readily available furniture polish or cleaner. 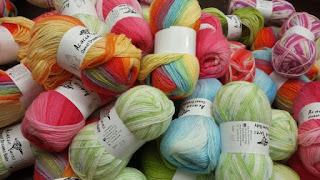 Needles can be used with extra chunky yarns, or a multiple of yarns stranded together to make one of kind, instant gratification projects. These needles are especially useful for those projects that needed to be finished yesterday! Great for stash-busting! 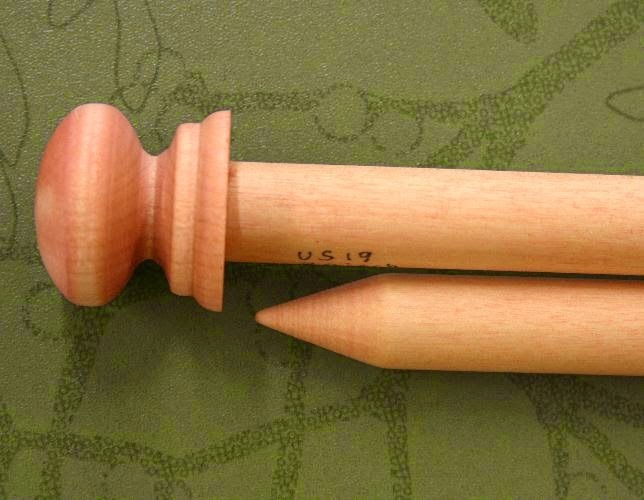 These needles also make a great gift for that special knitter in your life who has everything - but these! All sizes are in-stock and ready to ship!